April 26, 2016 by Ken Ward Jr.
Last night, prosecutors filed their brief with the 4th U.S. 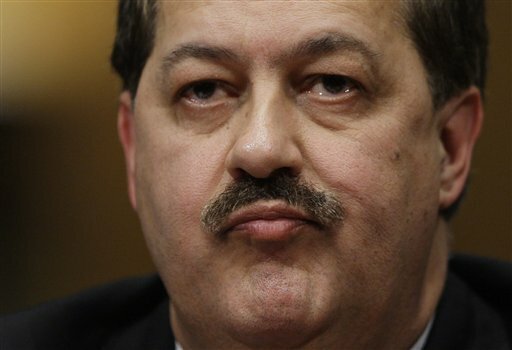 Circuit Court of Appeals to oppose former Massey Energy CEO Don Blankenship’s request to remain free on bail while appealing his conviction for conspiring to violate federal mine safety and health standards. A criminal defendant’s conviction and sentencing bring with them a strong presumption that he will serve his sentence without delay. By his motion to stay his sentence pending appeal, Defendant-Appellant Blankenship (“Defendant”) seeks to evade that presumption. He cites four supposed reversible errors and says his sentence should be delayed because of them. The record reveals, however, that the district court was exceptionally careful and thorough in resolving Defendant’s legal contentions both before trial and during it. Defendant’s appellate claims simply are weak, and success for him on appeal is improbable. I’ve posted a copy of their brief here. Also, here’s a copy of a 4th Circuit order that set the schedule for legal briefs in the appeal of Blankenship’s conviction. Initial briefs are due May 31. Remember that, pending action by the 4th Circuit to stay his sentence, Blankenship is scheduled to report to prison on May 12.